Are you the type who likes to do everything yourself, no matter how technical it might be? If so, this interview is for you. We interviewed Dave Donaldson, senior design engineer at GoGreenSolar, a company dedicated to helping homeowners install their own solar systems. The company also produces DIY solar kits and provides design and installation services. If someone wants to install their own solar collectors, how can they determine what collectors they need and how much energy they need to generate? What kind of technical expertise does someone need to install their own solar? How complicated is it to hook up the panels to the home’s electricity system? Once the panels are installed, is it easy for the homeowner to work with the utility to feed their power back into the grid? 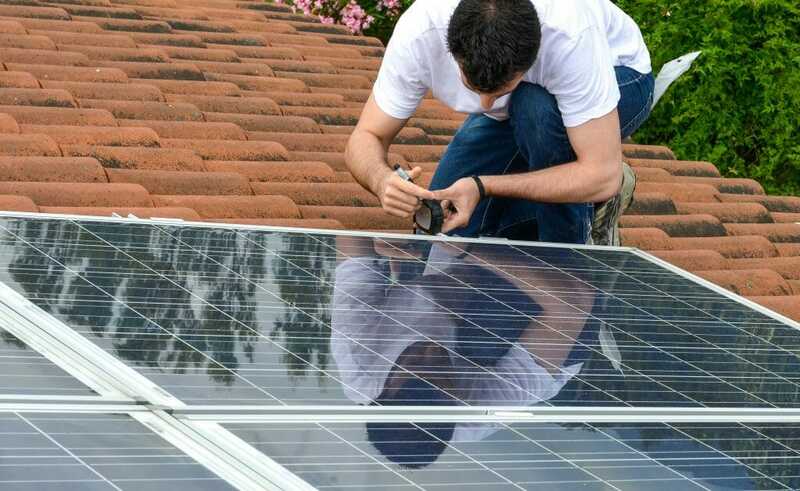 Will the homeowner need permits to install a solar system? Are there any other major issues a homeowner needs to be aware of before taking on a DIY solar project? How are warranty issues handled if the panels are installed by the homeowner rather than by a contractor? Is it better to order panels online, or find a local seller, distributor, or manufacturer? If someone is shopping online, what should they look for? Any other cost or other benefits of DIY solar? A simple formula is to look at the electric bill and find the kWh (kiloWatt hours) consumed. It is usually given per months, so divide that number by 30 to get the average daily consumption. Divide this number by 4 to obtain the size of the solar array to satisfy your energy demand. However, this is a rough estimate. We use the customer’s location to cross reference with a national database to determine the amount of annual sun the home actually experiences for a more accurate system size. It involves knowledge in several trades, mostly electrical and roofing. For a ground mount array, it requires excavating large footings for posts, and pouring concrete. Installation guides that come with the systems assume the DIYer has not installed solar before and should help the DIYer tackle these learning curves. 1) If the local utility offers a meter adapter, then this can be installed under the meter to send (backfeed) power to the grid. 2) If the meter and breaker panel are in separate enclosures, the solar power can be spliced into their conducters; this is called a Line Side Tap. There is paperwork involved. Depending on the utility, it can be a very frustrating experience. They talk in “Utility Speak,” and it is not always easy to interpret their requirements. Some utilities view solar as stealing profits, and are “solar hostile.” If the paperwork is not completed properly, expect no mercy! At the end of the process, the utility will issue Permission to Operate (PTO). If someone does business with GoGreenSolar, we highly recommend they use our Interconnect Service. The utility needs to ensure the equipment backfeeding their grid is UL-listed and safe for their workers. For instance, if the grid goes off-line, all solar equipment must shut down immediately. Otherwise, a utility worker trying to repair the grid, assuming the wires are not energized, may be electrocuted. Definitely! The utility will not issue PTO without it. It’s hard to “hide” a solar array. Permits are a source of income for the city, and they will issue fines for non-compliance. Building departments have been known to use Google Maps to determine which homes have a solar array on the roof, and check their records for a permit. The plans that are developed to submit for a permit need to be done right. Most building departments are understaffed, so they don’t have time to teach a newbie what is involved with a solar installation. Contractors that decide to develop their own plans find that it takes months because they do not understand how to properly configure the solar equipment, and the plans keep getting rejected. Some companies, including ours, offer a permit package service, to make it easier for DIYers to get through this process. Ideally, you want to develop plans to code—electrical, fire, building, etc—and that require a minimum of revisions. To avoid a long and unpleasant installation process, it’s in your best interest to get along well with your inspector and utility company. Both the inspector and utility company are monopolies, so there’s nowhere else to go to have the final inspection signed-off and obtain PTO. Many solar vendors feel their job is done once the equipment is delivered. Others feel they are done once the solar equipment is installed, but expect the customer to contact the manufacturer for trouble-shooting or commissioning—the initial start-up—of a system. Our corporate philosophy is that our job is not done until the system is producing power and spinning the meter backward. Go through the vendor that sold the equipment. The trick is to deal with a vendor that will still be around when the warranty claim needs to be made. Going with the lowest bidder sometimes means that the vendor is offering discounts that are not sustainable; they may eventually fold. Get a quote from as many vendors as possible. Unless you know someone locally in the industry who is willing to give a “family discount,” online vendors will most likely have a more competitive price point. The old adage, “You get what you pay for,” applies to the solar industry as well. Unfortunately, too many folks go strictly on price, since they have not done enough research to compare specific equipment features, or track record of manufacturers. At GoGreenSolar, we don’t sell “cheap” equipment because we know it will only cause problems for the customer, and us, in the future. The customer that is just looking for the least expensive hardware can’t expect much in the way of support. For a DIYer it can be a train wreck waiting to happen. There is a phenomenon in the solar industry where installers are becoming very aggressive in their pricing to out-bid competitors. Unfortunately, this has become an unsustainable “race to the bottom,” and installers are routinely going out of business. For the turn-key customers, this could mean that the installer with which they established a relationship is no longer going to be able to handle any warranty claims or maintenance issues. Conversely, the DIYer is the installer, and knows where every nut and bolt went—because they put them there, so maintenance is not an issue. Armed with online monitoring, not only can the DIYer know the solar array is producing less power than it should if that happens, it also pinpoints the specific solar panel having the issue. If a frisbee lands on a solar panel, the monitoring will show a sharp dip in production for that solar panel immediately. This sense of self-reliance is an added benefit of a DIY install. This interview was provided by Go Green Solar.